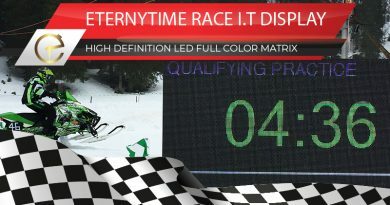 EternyTime ® manufacturer of electronic timing systems, one of Chronelec's strategic partners, has intelligently drawn up all of its timing know-how and professionalism to design dedicated, well-known timing solutions which combine race safety information and high-technology communication with timing precision – Eternytime is confirming its extensive knowledge and experience in the field since 2009 in all domains up to international levels and invest all in customers experience and service. Upon customer request, Eternytime will delete its information from its database, which will cancel its registration. Copyright © 2019 ETERNYTIME. All rights reserved.